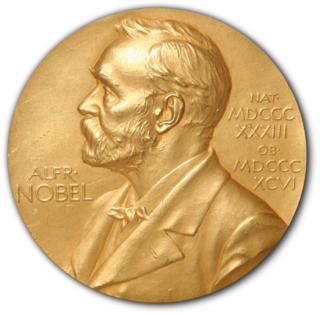 Listed below are the Nobel laureates born in Wales, in alphabetical order. 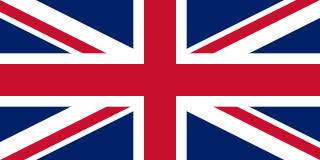 Wales is a country within the United Kingdom, this means that Welsh Nobel laureates are included in the list of Nobel laureates for Great Britain by the Nobel Foundation. Per capita is a Latin prepositional phrase: per and capita. The phrase thus means "by heads" or "for each head", i.e., per individual/person. The term is used in a wide variety of social sciences and statistical research contexts, including government statistics, economic indicators, and built environment studies. Sir Clive William John Granger was a British econometrician known for his contributions to non-linear time series. He taught in Britain, at the University of Nottingham and in the United States, at the University of California, San Diego. In 2003, Granger was awarded the Nobel Memorial Prize in Economic Sciences, in recognition of the contributions that he and his co-winner, Robert F. Engle, had made to the analysis of time series data. This work fundamentally changed the way in which economists analyse financial and macroeconomic data. Swansea, is a coastal city and county, officially known as the City and County of Swansea in Wales. Swansea lies within the historic county boundaries of Glamorgan and the ancient Welsh commote of Gŵyr on the southwest coast. The county area includes Swansea Bay and the Gower Peninsula. Swansea is the second largest city in Wales and the twenty-fifth largest city in the United Kingdom. According to its local council, the City and County of Swansea had a population of 241,300 in 2014. The last official census stated that the city, metropolitan and urban areas combined concluded to be a total of 462,000 in 2011; the second most populous local authority area in Wales after Cardiff. The Josephson effect is the phenomenon of supercurrent, a current that flows indefinitely long without any voltage applied, across a device known as a Josephson junction (JJ), which consists of two or more superconductors coupled by a weak link. The weak link can consist of a thin insulating barrier, a short section of non-superconducting metal (S-N-S), or a physical constriction that weakens the superconductivity at the point of contact (S-s-S). The philosopher Bertrand Russell (18 May 1872 – February 1970) won the Nobel Prize in Literature in 1950 ‘in recognition of his varied and significant writings in which he champions humanitarian ideals and freedom of thought’. He was born in Trellech, Monmouthshire, spent most of his time outside Wales, and died at his home at Plas Penrhyn, Penrhyndeudraeth, Merionethshire. A philosopher is someone who practices philosophy. The term "philosopher" comes from the Ancient Greek, φιλόσοφος (philosophos), meaning "lover of wisdom". The coining of the term has been attributed to the Greek thinker Pythagoras. Bertrand Arthur William Russell, 3rd Earl Russell, was a British philosopher, logician, mathematician, historian, writer, essayist, social critic, political activist, and Nobel laureate. At various points in his life, Russell considered himself a liberal, a socialist and a pacifist, although he also confessed that his sceptical nature had led him to feel that he had "never been any of these things, in any profound sense." Russell was born in Monmouthshire into one of the most prominent aristocratic families in the United Kingdom. Sir Martin John Evans FRS FMedSci (born 1 January 1941, Stroud, Gloucestershire) is a Welsh scientist who, with Matthew Kaufman, was the first to culture mice embryonic stem cells and cultivate them in a laboratory in 1981. He is also known, along with Mario Capecchi and Oliver Smithies, for his work in the development of the knockout mouse and the related technology of gene targeting, a method of using embryonic stem cells to create specific gene modifications in mice. In 2007, the three shared the Nobel Prize in Physiology or Medicine in recognition of their discovery and contribution to the efforts to develop new treatments for illnesses in humans. Fellowship of the Academy of Medical Sciences (FMedSci) is an award for medical scientists who are judged by the Academy of Medical Sciences for the "excellence of their science, their contribution to medicine and society and the range of their achievements". 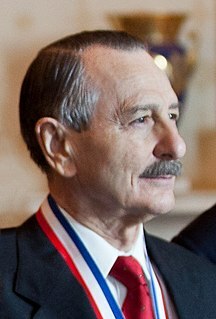 Leland Harrison (Lee) Hartwell is former president and director of the Fred Hutchinson Cancer Research Center in Seattle, Washington. He shared the 2001 Nobel Prize in Physiology or Medicine with Paul Nurse and Tim Hunt, for their discoveries of protein molecules that control the division (duplication) of cells. Howard Robert Horvitz is an American biologist best known for his research on the nematode worm Caenorhabditis elegans, for which he was awarded the 2002 Nobel Prize in Physiology or Medicine, together with Sydney Brenner and John E. Sulston. Aaron Ciechanover is an Israeli biologist, who won the Nobel prize in Chemistry for characterizing the method that cells use to degrade and recycle proteins using ubiquitin. 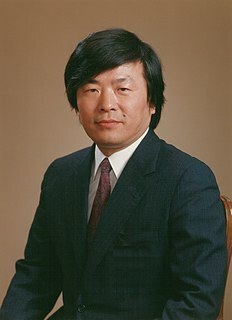 Susumu Tonegawa is a Japanese scientist who was the sole recipient of the Nobel Prize for Physiology or Medicine in 1987, for his discovery of the genetic mechanism that produces antibody diversity. Although he won the Nobel Prize for his work in immunology, Tonegawa is a molecular biologist by training and he again changed fields following his Nobel Prize win; he now studies neuroscience, examining the molecular, cellular and neuronal basis of memory formation and retrieval. Eric Francis Wieschaus is an American evolutionary developmental biologist and 1995 Nobel Prize-winner. Sir Richard John Roberts is an English biochemist and molecular biologist. He was awarded the 1993 Nobel Prize in Physiology or Medicine with Phillip Allen Sharp for the discovery of introns in eukaryotic DNA and the mechanism of gene-splicing. He currently works at New England Biolabs. Rolf Martin Zinkernagel is Professor of Experimental Immunology at the University of Zurich. He was awarded the Nobel Prize in Physiology or Medicine in 1996 for the discovery of how the immune system recognizes virus-infected cells. Sir Martin John Evans is a British biologist who, with Matthew Kaufman, was the first to culture mice embryonic stem cells and cultivate them in a laboratory in 1981. He is also known, along with Mario Capecchi and Oliver Smithies, for his work in the development of the knockout mouse and the related technology of gene targeting, a method of using embryonic stem cells to create specific gene modifications in mice. In 2007, the three shared the Nobel Prize in Physiology or Medicine in recognition of their discovery and contribution to the efforts to develop new treatments for illnesses in humans. In biology, reprogramming refers to erasure and remodeling of epigenetic marks, such as DNA methylation, during mammalian development or in cell culture. Such control is also often associated with alternative covalent modifications of histones. Oliver Smithies was a British-American geneticist and physical biochemist. He is known for introducing starch as a medium for gel electrophoresis in 1955, and for the discovery, simultaneously with Mario Capecchi and Martin Evans, of the technique of homologous recombination of transgenic DNA with genomic DNA, a much more reliable method of altering animal genomes than previously used, and the technique behind gene targeting and knockout mice. He received the Nobel Prize in Physiology or Medicine in 2007 for his genetics work. Rudolf Jaenisch is a Professor of Biology at MIT and a founding member of the Whitehead Institute for Biomedical Research. He is a pioneer of transgenic science, in which an animal’s genetic makeup is altered. Jaenisch has focused on creating genetically modified mice to study cancer and neurological diseases. Ralph Marvin Steinman was a Canadian physician and medical researcher at Rockefeller University, who in 1973 discovered and named dendritic cells while working as a postdoctoral fellow in the laboratory of Zanvil A. Cohn, also at Rockefeller University. Steinman was one of the recipients of the 2011 Nobel Prize in Physiology or Medicine. Ralph Lawrence Brinster is an American geneticist and Richard King Mellon Professor of Reproductive Physiology at the School of Veterinary Medicine, University of Pennsylvania. 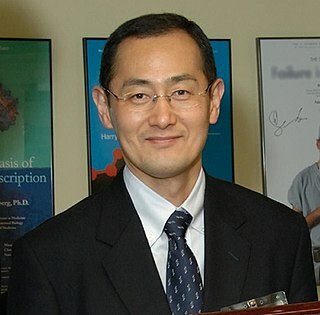 Shinya Yamanaka is a Japanese Nobel Prize-winning stem cell researcher. He serves as the director of Center for iPS Cell Research and Application and a professor at the Institute for Frontier Medical Sciences at Kyoto University; as a senior investigator at the UCSF-affiliated J. David Gladstone Institutes in San Francisco, California; and as a professor of anatomy at University of California, San Francisco (UCSF). Yamanaka is also a past president of the International Society for Stem Cell Research (ISSCR). Bruce Alan Beutler is an American immunologist and geneticist. Together with Jules A. Hoffmann, he received one-half of the 2011 Nobel Prize in Physiology or Medicine, for "their discoveries concerning the activation of innate immunity". A knockout mouse or knock-out mouse is a genetically modified mouse in which researchers have inactivated, or "knocked out", an existing gene by replacing it or disrupting it with an artificial piece of DNA. They are important animal models for studying the role of genes which have been sequenced but whose functions have not been determined. By causing a specific gene to be inactive in the mouse, and observing any differences from normal behaviour or physiology, researchers can infer its probable function. Tasuku Honjo is a Japanese immunologist, and Nobel laureate best known for his identification of programmed cell death protein 1 (PD-1). He is also known for his molecular identification of cytokines: IL-4 and IL-5, as well as the discovery of activation-induced cytidine deaminase (AID) that is essential for class switch recombination and somatic hypermutation. ↑ Richard Barwell (2009). Multilingualism in Mathematics Classrooms: Global Perspectives. Multilingual Matters. pp. 113–. ISBN 978-1-84769-204-7. 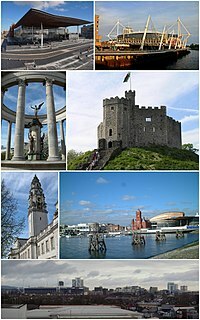 With a population of around 3 million, Wales is one of the smallest of the four nations that make up the United Kingdom.